Great Tastes Tuesdays! : 3 Ingredient Green Beans! This is so super easy and makes for a greeat side dish! Pour the cream of celery soup in a small saucepan. Drain your green beans and pour them into the soup. Warm this for 10-15 minutes. Stir often. 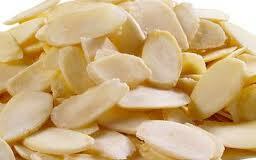 When it is ready pour the sliced almonds on top. *Note: This is for a larger group so you can cut it in half if it is too much! Join my crafty DIY fun & Spring Bash giveaway at my blog Creatively Redeeming Her, www.creativelyredeemingher.blogspot.com.